Ukrainian industrial group UkrOboronProm has announced that it is ready for mass production artillery ammunition for a wide variety of missions at long ranges of engagement. “I congratulate you on the fact that we have not just held trials that have shown the high quality of the work of these teams that are taking part today in our holiday. We are ready to organize the mass production of the most scarce ammunition in the near future,” the Head of State said at the opening of the production line for the manufacturing of large caliber artillery shells at “Artem” JSC. 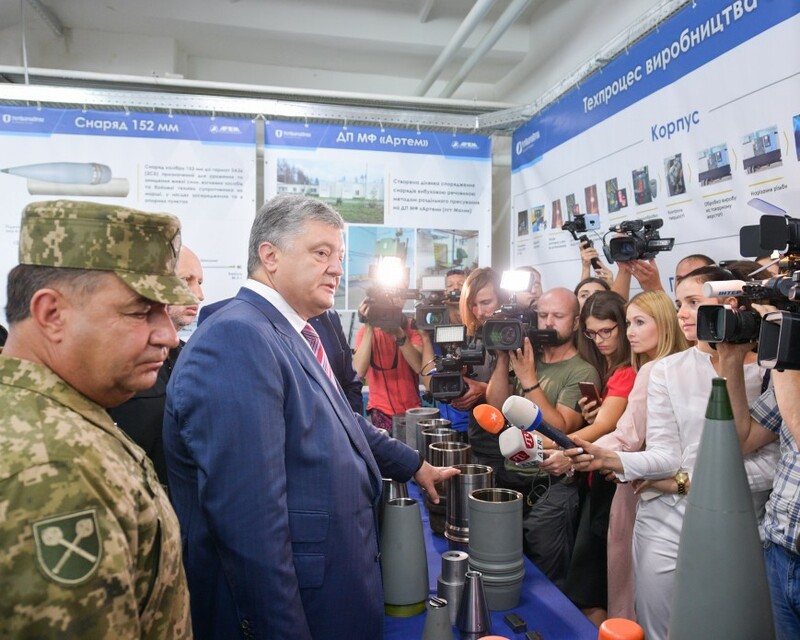 Petro Poroshenko also noted that the first tests were conducted only in the first quarter of this year and now it is an issue of mass production. “I want to congratulate the Ukrainian people – the trials were successful,” he said. The President also reminded that the issue of restoration and adjustment of production of such ammunition arose after Russia’s aggression against Ukraine and seizure of the factory in Luhansk by the invaders. During the event, was unveiled family of ammunition for a wide variety of missions. Among artillery ammunition 152 and 155 mm were shown and unguided rockets, mortar shells, anti-tank laser-guided missile.